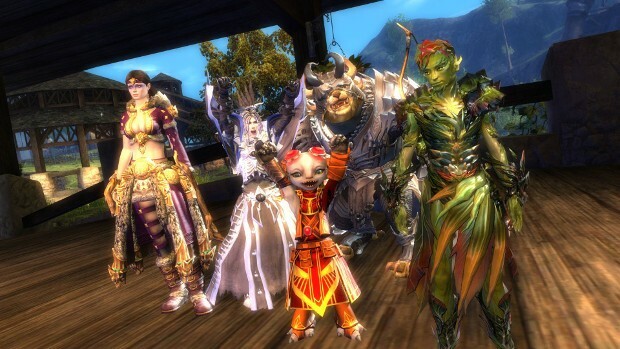 Home News Nerf and Buff Bats Hit GW2 Classes…and Even Food! Nerf and Buff Bats Hit GW2 Classes…and Even Food! A new patch is now available for ArenaNet’s free-to-play MMO Guild Wars 2 and it’s making some serious changes to the game’s classes. The patch notes, now available on the official forums, is filled with a litany of buffs and nerfs to all nine of the game’s classes. Among the more notable changes are the Elementalist defensive capability being slowed in PvP, the addition of new attacks for Mesmer phantasm skills, nerfing the Necromancer Epidemic skill so that it doesn’t have such an immediate effect during PvP, and toning down some of the Warrior’s overperforming elements. Of course, the list is far larger than that — meaning you’ll have to check out the patch notes for the full rundown. In addition to class changes, some interesting updates have also been made in other areas. One such change is the nerfing of foods that provide bonus damage while moving. As the developers note, the strategy used to maintain uptime when using these foods in combat is having a negative impact on the game as a whole. So, they’ve decided to nerf them by 50%. For the full rundown on all the changes made with this update, check out the notes on the Guild Wars 2 forums. ill stick with playing neverwinter instead.